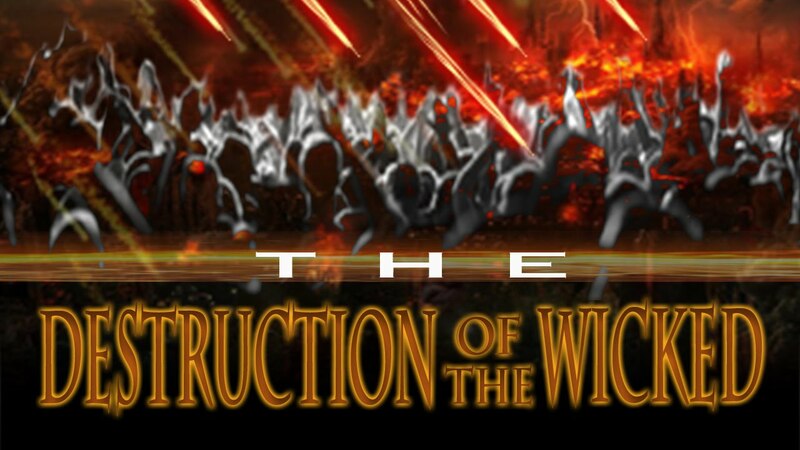 As I finished the previous article, I had brought you from the beginning events post rapture to the midpoint of this last 7-year time period under the usurper Satan's regime. After this point, things will deteriorate rapidly. The judgments that are to come will be far worse than anything that will have happened so far. You need to prepare yourself to either accept Christ now, if you are still lost (that is if you have still not accepted the fact that you are a sinner in need of a Savior and have not as yet believed in Jesus Christ alone for salvation according to the scriptures (1 Corinthians 15:1-4). Once you do believe, you must remain faithful EVEN UNTO DEATH. You will not have to rely on your own failing efforts; the Holy Spirit of God will be with you to enable you to withstand whatever comes your way - including your martyrdom if it comes to that. The Ancient of Days is about to fully unleash His wrath, mete out His justice, and avenge the blood of all of His saints from every era and dispensation. He is now going to avenge all those who have endured the hatred of the Great Deceiver - that slandering, murderous, rebellious Dragon - the fallen cherub Satan, along with all those who have willingly chosen to follow this Deceiver in his rebellion in such a vile, sin-saturated world. The risen Lamb - the Lion of Judah - is about to roar out the terrifying culmination of His vengeance from the throne room of Heaven, and the atmospheric heavens along with the very foundations of Planet Earth are about to be shaken as never before in human history. But before we proceed any further, let me once again, for just a moment, back up to the instant right after the rapture has occurred, to remind you yet again of some truths of which I've already told you but which bear repeating. Never forget that the hallmark of Satan is deception. Remember that I told you in earlier epistles that there will be many "religious" people who will have been left behind. Religion is always man's attempt to reconcile himself to God on his (man's) own terms apart from God's terms. True Christianity as defined by the Bible is not and never has been a "religion." In fact, Christianity as defined by the Bible stands diametrically opposed to every "religion" on earth, including all that calls itself "Christian" but which is in reality a false Christianity, bearing NO resemblance to true Biblical Christianity. There will be religious leaders from every religion, denomination, and cult known to man (including, sad to say, many well-known and big-name evangelical leaders who call themselves "Christians" but who are not true Christians as defined by the Bible). Do not be at all surprised to find that most, if not all, of the most well-known "prosperity" and/or "social gospel" preachers and teachers - the false "Word of Faith/name-it-and-claim-it teachers and preachers (who are nothing more than slick, religious snake oil salesmen who have spent their lives swelling their obscenely fat bank accounts by fleecing the elderly, the foolish, and the undiscerning of the majority of their money) - the "seeker sensitive," all-inclusive, let's-just-all-coexist Christian-in-name-only groups and leaders will also have been left behind. It will only be those whose Christianity followed the Bible - the Biblical "fundamentalists" as we were derisively called - those of us who believed and took the Bible literally, who followed Christ literally according to the scriptures that will have been taken in the great vanishing that was the rapture of the Church. The first half of the Tribulation will be filled with this false religious system that has its roots in ancient Babylonian paganism. All of these false religions had their beginnings in ancient Babylon under the first "world ruler" named Nimrod. Nimrod ruled ancient Babylon, located on the Plains of Shinar, thousands and thousands of years ago. However, when the GREAT Tribulation begins (the last 3 ½ years I am about to address further), God is going to bring all of that ancient paganism and perversion in its many and varied forms to its complete and final end. (2) There will be astronomical events that will occur: asteroids, meteors, comets, and something that the Apostle John recorded as being "something like a great burning mountain" (whatever that will be) that will strike the oceans. As a result, ONE THIRD PART OF THE SEA "BECAME (will become) BLOOD" as ONE THIRD OF ALL SEA LIFE IS KILLED, AND ONE THIRD OF ALL SHIPS ARE DESTROYED (Revelation 8: 8-9). (3) A "burning star from heaven" will strike the fresh water sources such as lakes, rivers, creeks, and streams, etc. ONE THIRD OF ALL FRESH WATER SOURCES WILL BECOME POISONED AND CONTAMINATED. Think about this! What a calamity it will be for man and animals not to be able to find sufficient, unpolluted and safe drinking water! This catastrophic devastation will result in even more loss of life (Revelation 8:10-11). (4) As a direct result of the above catastrophic events, THE SUN AND MOON WILL BE DARKENED FOR ONE THIRD PART OF THE DAY AND NIGHT. The atmosphere and the amount of breathable air will be so polluted, the atmosphere so obscured, that the very light of the sun and moon will be diminished by ONE THIRD. One's ability to breathe will be seriously impaired from the thickly poisoned and polluted air that will pollute ONE THIRD of the Planet. MANY MORE WILL DIE (Revelation 8:12-13). There were other riders on horses behind Jesus. Zechariah asked about them and he was told, "These are they whom the LORD hath sent to walk to and fro through the earth" (Zech. 1:9-10). This group of riders was an angel patrol that God had sent to patrol the earth. These angels had just returned with a report, "We have walked to and fro through the earth, and behold, all the earth sitteth still, and is at rest" (Zech. 1:11). They found peace all over the earth. He asked God, "O LORD of hosts, how long wilt thou not have mercy on Jerusalem and on the cities of Judah, against which thou hast had indignation these threescore and ten years?" (Zech. 1:12). There was peace on earth, but it was peace without Jerusalem and the surrounding towns. Without Jerusalem and the surrounding towns, Jesus couldn't be born in Bethlehem, Ephratah; He couldn't ride into Jerusalem on a donkey; He couldn't suddenly appear at the Temple, and many other prophecies couldn't be fulfilled. There was peace on earth, but it was peace on earth on Satan's terms, not God's terms. God said, "I am very sore displeased (very angry) with the heathen that are at ease; for I was but a little displeased, and they helped forward the affliction" (Zech. 1:15). God didn't like the attitude of the heathen (Gentiles) on earth. Their attitude wasn't a big problem at first when God allowed Babylon to put the Jews off the Promised Land for 70 years, but He was sore displeased 70 years later when they tried to keep Israel off the land forever. God said the Jews would return after 70 years, but Gentiles were trying to make Israel's situation worse than God decreed by keeping the Jews off the land forever, not letting Jerusalem and the Temple be rebuilt, etc. God's punishment of Judah wasn't enough for the Gentiles. They wanted to go beyond what God said. They wanted the permanent destruction of Judah. God wasn't pleased with this. He said the Seed of Woman would bruise Satan's head, and it had to happen. Nations cannot be allowed to prevent the Word of God from being fulfilled. This brings us to Zechariah's second vision (Zech. 1:18-21). First, Zechariah saw "four horns," (kings, kingdoms or nations; Dan. 7:24; Rev. 17:12). He was told, "These horns are the kingdoms or nations that scattered Judah, Israel and Jerusalem" (Zech. 1:19). Next, Zechariah saw "four carpenters." He was told, "These are come to fray (punish) them, to cast out the horns of the Gentiles (heathen), which lifted up their horn over the land of Judah to scatter it" (Zech. 1:21). These four carpenters represent things or nations that God has sent to tear down and get rid of those that are adding to Judah's punishment. These visions apply to Zechariah's day, but the things in the Old Testament are examples for us today (I Cor. 10:11). World leaders think they can have peace on earth by dividing Jerusalem and the Promised Land, giving part or all of Jerusalem and the Promised Land to the Muslims, etc., but they can't because every jot and tittle of God's Word must be fulfilled. Before the Temple is rebuilt, members of the religion of peace will schedule days of anger, rage and violence to protest the recognition of Jerusalem as Israel's capital, but eventually there will be a false peace, and the Temple will be rebuilt. When that false peace treaty is signed, God's day of wrath will begin (Rev. 6:16). He will use four horsemen (called the Four Horsemen of the Apocalypse) to fray the world (Rev. 6:1-8). Thankfully, the Church won't be here when the Four Horsemen of the Apocalypse come forth. You see, the sudden destruction will come upon them (the lost) when they (the lost) say "Peace and safety" (I Thess. 5:3). The lost will wrongly say "Peace and safety" before the sudden destruction comes (Pre-Trib). They won't say "Peace and safety" halfway through the Tribulation Period (Mid-Trib) or near the end of it (Post-Trib). Christmas is near, and many people will talk about peace on earth, but they are not interested in, or anxious for, the return of Jesus. They don't seem to realize that there won't be peace on earth until Jesus returns (Dan. 9:24). If Jesus doesn't return, no flesh will be saved, but Jesus will return (Matt. 24:22; Acts 1:11). 50 years ago, the Jewish forces decisively defeated numerous Arab and Egyptian forces in the Six Day War in 1967 and recaptured the city of Jerusalem from the Jordanians in the process. 40 years ago, US President Jimmy Carter along with Egyptian President Anwar Sadat, and Israeli Prime Minister Menachem Begin began setting the stage for what would come to be known as the Camp David Accords. The Accords, which would set in place for the next forty years, the idea of "land for peace." 30 years ago, the Temple Institute was formed to make the third Jewish temple, become a reality. 22 years ago, the US Congress passed the Jerusalem Embassy Act, which required the US to move its embassy from Tel Aviv to Jerusalem or be waived every six months. Five days ago, US President Donald Trump didn't sign this waiver, and then officially announced Jerusalem as Israel's eternal, and undivided capital. He then instructed his State Department to begin moving the US embassy from Tel Aviv to Jerusalem. He became the first US president to do so in 70 years. The significance of what Donald Trump just did should not be underestimated. Three previous US presidential administrations all promised during their respective campaigns to do something they probably had no intention of doing. When elected, they didn't do it because they thought they could use Jerusalem as leverage for any final peace deals. But since Trump broke ranks and did the right thing, what are we to make of our seemingly paradoxical situation? Will the US be blessed because of what he did, or will our misfortunes as a nation in moral freefall continue on the prophetic glide path towards last-days irrelevancy? To answer my recent question, I believe it will be both. We as a nation might have some respite from President Trump's decision on a geopolitical level, but I believe the blessing will be with him and those who supported his decision to officially recognize Jerusalem. He may be now viewed in the same category as the great Gentile leaders from antiquity like Cyrus or Artaxerxes II in assisting Israel's survival as a people and as a nation. In more recent times, he joins President Truman (the first world leader to recognize Israel as a nation) and President Nixon (who came to Israel's aid in her greatest hour of need). Both these presidents supported Israel despite tremendous opposition even from within their own administrations (compare with Ezra 4). To his credit, I believe Caroline Glick's recent article captures the essence of the Trump doctrine and how that will play out in the coming weeks, months, and years. To sum up then, by recognizing Jerusalem as Israel's capital, Trump made clear that US support for Israel is not conditioned on anything. Israel, the Jewish state, is supported by the US because it deserves US support as an allied democracy. Trump strengthened himself against his political opponents by taking ownership of a deeply popular foreign policy position. He took control of US foreign policy from a State Department that opposes his policies. He made reality, rather than the defiance of reality, the foundation of US Middle East policy. He put US allies and enemies on notice that he is calling the shots in US foreign policy. And he took a large step toward restoring US credibility as a superpower. Oh, and he accomplished all of these things without spending a dime. For his gift to Israel, Trump now enters the pantheon of Israel's friends in the annals of Jewish history. For his gifts to America he has taken his place among the most astute American statesmen. And for his political and economic mastery, he enters the ranks of the geniuses of American political history. As to the relevancy of our nation in terms of the prophetic picture, we are still headed to the same exact place we were while under Barack Obama. Even though Cyrus and Artaxerxes II greatly aided Israel and are remembered in the annals of history for doing so, the mighty Persian Empire still fell to the rising Greek power of Philipp II and Alexander the Great. I believe God will bless President Trump's presidency, but I also still think that those who are the enemy of God and Israel, will continue to suffer at the hands of divine justice (Romans 1:16-32). We still must contend with the reality that this world is currently under the management of Satan and his varied forces (Luke 4:5-7, 1 John 5:19). As long President Trump continues in office, he can expect intense pressure to reverse this decision. Even though Nixon aided Israel during the Yom Kippur War, that didn't prevent his impeachment because of Watergate. However, it was added to the righteous acts he performed in this life. The God of Abraham, Isaac, and Jacob will protect Trump and his administration until his purposes at this stage of human history are complete. As to the United States, we are still heading to our appointed rendezvous with prophecy. Even we as a nation (if we are still a nation), will one day come against Israel as an enemy. Although we don't know exactly what this covenant entails, we can reasonably assume it will build off Trump's recent declaration and will probably deal with the final status of Jerusalem, the Temple Mount, and the building of a new Jewish temple. We know there is a third temple because the Bible demands one to be rebuilt (Ezekiel 40-48, Matt. 24:15, 2 Thess. 2:4, Rev. 11:1-2). The world under Satan's influence has long desired to make Jerusalem an international city under the pretenses that it serves the world's three major religions. Each religion can claim some connection as Muslims and Christians because both have conquered and held control over it for brief periods of time. 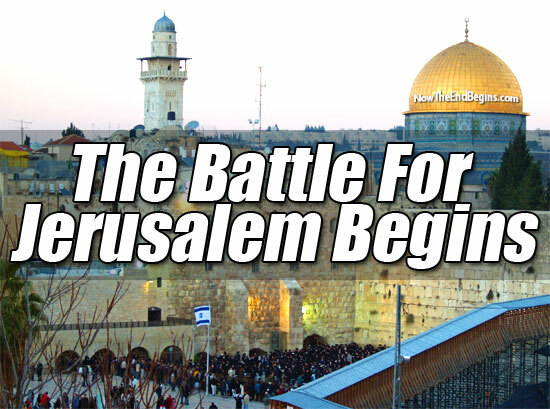 In the coming weeks and months, Jerusalem will become an even greater cup of trembling as the nation's rage over this recent declaration (Zech. 12:2-3). 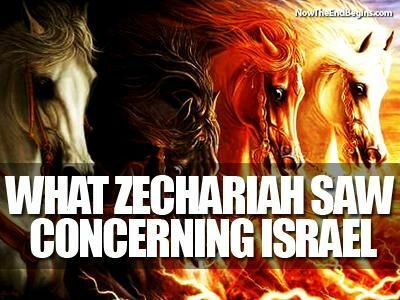 But what will really happen, is that this man Antichrist (rider on the white horse) will use peace as justification to take over Jerusalem maybe involved in allowing for the Jews to actually build their new temple. At the midway point of this seven years, this same man will desecrate the newly rebuilt Jewish temple by setting himself up as God-incarnate and his false prophet will demand all peoples worship him on pain of death. Jesus said that when the Jews in Jerusalem see this, they must flee Jerusalem and leave without even packing their things (Matt. 24:15-18). God will shepherd them and move them to a safe place to shelter them during the last half of Daniel's 70th Week (Isaiah 26:20-21, Rev. 12:13-17). President Trump (like Cyrus and Nebuchadnezzar) was selected by God for this appointed time, to at a minimum, do this appointed thing (recognize Jerusalem). We know that there is a spiritual conflict going on because Jerusalem is not strategically significant in any other manner than a religious one. Although the Jews as a people-group have been blinded to the truth of the Gospel of Jesus Christ at present (Romans 11:25-29), God's promises and calling to them are unchangeable (Jer. 31:35-37). After the Rapture and at a certain point during the Tribulation, they will realize that Jesus really was the Messiah, and they will call upon Him for salvation. As we progress through these chapters of 6-11, we see an ever increasing crescendo of events that is linked to each seal that Jesus our Lord opens before the Father in heaven. Notice that it is God who is causing the events to happen on earth, and He is using men, at first, to do His will and perform judgment on the earth. As mentioned last time, if you follow these messages, that Satan has no power that God does not allow him to have. Satan is the great deceiver and tempts men to do what is hidden in their evil hearts and makes war on other men. But as we have seen in the past, for a quick review, Jesus our Lord covers all the church ages from chapters 1-3, and then makes a decided shift in focus and John is in the throne room of God the Father. There we see the glorified church represented as 24 elders sitting on thrones with rewards of gold upon their head, and seated in the government of God Almighty. John witnesses the coming of our Savior, Jesus Christ as He comes to the Father and takes a parchment written on both sides and sealed with seven seals. This can only be described as the “Title Deed” to all the earth, and the plan to rid God's creation of rebellion and to bring Israel, His chosen people to the knowledge of their Messiah. For 2000 years, the Jewish people have rejected Jesus Christ as their coming King, but in the following chapters starting in chapter 6 and progressing into chapter 7 and beyond, Israel is refined as silver is refined in the fire to bring a remnant to faith and belief in the same Messiah their fathers, and they have rejected up until this time. In chapter 6, we see our God using mortal men do His will by using them to create war, famine, pestilence and starvation that results from wars fought over land and conquering other people to submit to their rule. As we saw in the last part of this series, God opens 6 seals and the destruction grows, as He uses men to destroy those who are in rebellion against Him, and Satan is used to deceive and tempt those who only wish is to continue in their unrighteous behavior to other men and destroy what is before them. As mentioned in the last part of this series, some try to equate this carnage to the wrath of Satan, but it is God who is causing these events to happen. So the wrath of God, much as was written in the Old Testament when Israel was taken into captivity and the majority of their population was destroyed by Assyria and Babylon, so here God is using mankind to enact judgment and begin His righteous wrath. His wrath begins in verse one of the sixth chapter and continues here. So let us look at this chapter.. Noted in verse one, God holds back the four angels that are the four corners of the earth from doing what they have been assigned to do. That is to begin the Divine destruction on the earth and the dwellers of men who live upon the earth, but first God seals 12,000 from each of the 12 tribes of Israel. These Jewish evangelist, or more correctly, Israelite men are sealed with the seal of God and ordained to preach the Gospel of Jesus Christ to the world. The question must be raised, if these are being sealed to proclaim the Gospel, where is the church who was commissioned to preach the Gospel to all mankind? It is another clue that the Church is unable to preach the Gospel, as she is not on earth, and the “baton” is given to another in this race to continue to preach the Word of God. These evangelist are supernaturally protected until the harvest of souls that they have been elected to bring the Gospel to, are brought into believing on Jesus Christ as the Son of God, much as the Church believed before them. I have mentioned in past sermons, that the palms that they hold, gives a clue of who these saints are. Only in Israel has the use of palm fronds been used to signify giving God glory, much as ancient Israel did to when Jesus wrote in on a foal of a donkey and proclaimed Jesus King found in Matthew chp. 21. Signs noting Israel in scripture are figs, fig tree, olives and palm branches. When you see any of these, it is referring to Israel. But an angel makes it clear when John sees the men standing before God. 13 “And one of the elders answered, saying unto me, What are these which are arrayed in white robes? and whence came they? These are those who have been martyred in the first half of the Tribulation, and I want you to focus in on verse 15. Note that the church is called “King and Priest” unto our God (Revelation 5:10), but here these saints minister in the temple of God, much as the Levitical priesthood did in Ancient Israel. These have a secondary role that is not associated with the Church, but are a different group of believers that serve our God in His Temple. In what capacity do they serve, is not revealed, but God will protect them and care for them and they will never hurt again. One comforting truth gleaned from Revelation is that although Antichrist will have power over all peoples and languages, (Rev. 13:7) he will not deceive every individual. (Verse 9), makes it clear that the preaching of the gospel by the 144,000 Jewish witnesses will reach a multitude that no one can number, from every language, tribe, and people. Therefore, even Satan's deception will not keep people from receiving Christ individually. But concerning the Anti-Christ having power over all nations, kindreds and tongues, we will discuss how this can only be those left behind after the Rapture of the Church in future messages, as Jesus has overcome the world and His Holy Spirit is dwelling with each “born again” Christian in the Church Age, so Satan cannot overcome them, but here they are overcome. Why? Because the Holy Spirit is not sealed in these Christians as the Church was, save the 144,000 Evangelist from Israel were and they have not the deposit or earnest of future glorification as a seal of salvation. IN the Tribulation, these saints can still loose their salvation, if they take the Mark of the Beast, or deny the blood of Jesus and follow the AC. We will cover this in more detail when we get to chapter 13 of our bible studies. The preceding chapter sets the stage for the coming destruction upon the earth, and the opening of the 7th seal. 1, “And when he had opened the seventh seal, there was silence in heaven about the space of half an hour. Verse 3 tells us this mighty angel stands before the heavenly golden altar of incense, which is before the Throne of the Almighty God. The prayers of all the believers are mingled with heavenly incense and offered up to God. These prayers contain the martyrs' and the suffering saints' cries for relief and justice. The answer to these prayers is the Seven Trumpets and Seven Golden Vials. The whole of heaven, the angels and the the saints who have been taken to be with God, hold their breath, because they know that this destruction will be all encompassing and will affect every human being on the planet. The silence of awe and anticipation at the grim reality of the judgments, God is about to unleash. This destruction will not only come from mortal men, but God will cause the environment to convulse beyond imagination and send Divine retribution that can only be attributed to Him. 4 “And the smoke of the incense, which came with the prayers of the saints, ascended up before God out of the angel's hand. The saints that are still on the earth, that are enduring what is coming upon the nations to even those who believe by faith, are in prayer for those who shall come to repentance, and for themselves as they are in mortal danger 24/7. These seven trumpets are of greater intensity than the seals, but not as destructive as the final vial or bowl judgments will be (compare 16:1-21). They occur during the final 3-1/2 years, but the time of each is indefinite, except the effects of the fifth trumpet judgment, which will last 5 months (9:10). The first 4 announce the divine destruction of earth’s ecology (verses 6-12), while the final 3 involve demonic devastation of earth’s inhabitants (9:1-21; 11:15). Whether this seven is literal, or not, doesn't matter (in this instance I believe they are literal). These "angels" are prepared to carry out God's orders. These "seven trumpets" were to sound the alarm. Trumpets are loud and send out a clear note. There will be no question of the message. In ancient times, a trumpet blast was designed to do two things, to bring people to worship God, or/and to prepare for war. Here, the angels prepare for God's War on rebellious mankind. An angel takes coals from the altar which reveals that God has accepted the prayers of His saints that are still on earth, and the censer is thrown to the earth, as God will avenge those who have died for belief in His Son as martyrs, and will take revenge on those who have rebelled and are living in sin, taking the Mark of the Beast and worshiping false gods on earth. Know that our God is a consuming fire. God is angered, and He has decided it is time to punish those on the earth who have rejected Jesus Christ as their Savior. Just as God finally destroyed Sodom and Gomorrah when they would not repent, there is a time when the fire of God will descend upon this earth in punishment. WE read in verse 7, the beginning of God commanding the angels to cause literal fire mixed with blood to rain down upon the earth. This fire consumes all green grass on the earth, and a 1/3 of all the trees, plus the second angel cast a burning mountain into the seas and the seas became blood. Is this literal blood or a contamination of the waters where sea creatures die because of the plague upon the waters of the sea and the resulting tsunami of such a gigantic object that looks like it could be a meteor or asteroid from outer space that the resulting tidal waves destroy 1/3 of all sea faring ships, plus the men that are on them, which be evident if they vessels are destroyed so would be their crews. Here something not detailed here poisons the waters, or changes their composition....John could only explain it as looking like blood. And this is only the first two angels that have been commanded by God to bring judgment on mankind. Only thing that separates these two events, is the plague in Egypt was localized, but this plague of fire and hail covers the whole of the earth. Both were punishments from God. One thing very important to remember is that the wrath of God falls on them of unbelief. It is the same God in Ezekiel that we see here in Revelation. We see that this is the same God that will destroy rebellious mankind by the environment which He commands to do on a broader scale than what is now occurring in California due to fire and drought, but imagine if this was worldwide and everything being on fire and there being no way to escape it? Envision the planet on fire, and the structures that the grass and trees surround also catching fire. The California fires on steroids worldwide. Or envision God allowing unrepentant, evil men to use nuclear weapons on each other and killing millions in a flash. We will see what I believe John is explaining when he speaks of Wormwood in the next verses. Just as I described that God will allow men to destroy one another with nuclear weapons, we see here a star falling upon the waters and making them “bitter”....does this remind you of something? If a burning nuclear ICBM were to fall into the waters, they would become radioactive. Where have we heard the term “Wormwood” before? The interpretation of a disaster that happened in Russia at the nuclear reactor at Chernobyl is defined as “wormwood” in the Russian language...so could this falling star falling on mankind be a nuclear weapon? If not, God has the ability to bring a flaming object from space that is radioactive and do the exact same thing as a man-made nuclear weapon, but of greater destruction. Whichever is used of God, the waters will be contaminated and many men will die all over the world because of this radioactive material into the drinking reservoirs that men use for their daily lives. You may not be able to find a safe drinking source of water in all the world. But recall what the prophet Zechariah wrote in his book that bears his name? This burning great star from the heavens will be burning as a lamp, this fire being radioactive and nuclear creates devastation that will be far reaching upon the earth.. I saw a depiction of that on “Raiders of the Lost Ark” when the destroying angel came out of the ark of the covenant and the flesh on the men melted away. Only this time, it won't be cinema, it will be real. It will be the destruction of men by a vengeful, wrathful God of fire. 12 “And the fourth angel sounded, and the third part of the sun was smitten, and the third part of the moon, and the third part of the stars; so as the third part of them was darkened, and the day shone not for a third part of it, and the night likewise. Although the last trumpets have been devastating to mankind, God is just getting warmed up, and the next three trumpets will make these first four pale in comparison to their devastation and the near total destruction of the nations upon the earth. Can you even visualize the destruction that has been up to this point in this apocalyptic book? We can be disturbed by watching a movie depiction of this, but what if you are living it up close and personal? If men could even comprehend how horrible this time will be for anyone so unfortunate to be living on earth at this time, then no one would be found refusing the gift of Jesus Christ and His sacrifice on Calvary's cross. The only ones that would dare, would be classified as insane, or in total deception by the “father of lies” Satan the devil. Do you think those who reject Jesus Christ so easily today would remain "silent" if they knew the horrible doom of judgment that is coming upon this earth and upon them because they are rejecting God's Redeemer, the Lord Jesus Christ? Will you stay silent, or cry out to God for mercy, as you read these two chapters, not even focusing on the ensuing chapters that show God's wrath growing exponentially stronger in their intensity and their all encompassing destruction that will destroy near 80% of all mankind in a few short years, with the majority coming in the last 3.5 years. Can you imagine seeing dead bodies lying all over the ground like it was in WW2, but no one to bury them, and wild/domestic animals feeding on them, and attacking those living, because of starvation?. Can you comprehend the smell of rotting flesh that breeds disease? Will you be going about your life as usual as Jesus said it would be so as in the days of Noah? 37 “But as the days of Noah were, so shall also the coming of the Son of man be. Contemplating what is described here, will people, OR YOU, be going about life as usual eating, drinking, or giving in marriage? Or will you be just trying to survive and escape someone taking your life just because they can? Life will not be as usual....life will be full of stress, fear and anxiety, where you will kill, just so you won't be killed. If this is what is going on in this world that John describes, and can't be as Jesus described before the day of the coming of the Lord as a thief in the night, then what is happening here has no basis for the description of the rapture at the end of the tribulation. The details are too prevalent that Jesus was talking about another time, when He will break in on mankind as a thief, and many of you will NOT be prepared. What coming is our Lord Jesus talking about in the above verses of Matthew? Paul was describing what will happen before the tribulation even starts, when men will be eating, drinking and giving in marriage, because it won't be that way before the second coming of our Lord to rule and reign. So for Jesus to come unannounced, like a thief, it has to be sudden. It has to be “hidden”.....a “mystery” that had not been revealed till Paul spoke of it...it has to be when you least expect it. For the end of the tribulation or the great Tribulation of these 7 years will be signs all over heavens that the Lord is coming. No one will be surprised, for the signs are all around them, in the heavens, on the earth, and from the destruction of near total of all mankind. Next time, we will continue in the next three chapters leading up what can only be explained as “The woman clothed with the Sun” and identifies the players in this spiritual drama. Jesus is coming soon, my friend, and if you are not on the “ark of salvation” much like Noah's ark, but this time His Name is Jesus Christ, then you will be living this horror until you are suddenly “extinguished” from this earth. You will either be saved and martyred, or to follow the beast power and be doomed for all eternity in the Lake of Fire, established for Satan and his angels, not for mankind. But mankind chooses to be separated from God because he loves his sin, more than He loves God, so God will give you what you want. In all things, He is just, and He is completely fair, but most of all, God is Holy, and you can't stand in His presence unless you embrace these two passages and live it like you mean it, because your life does actually depend on it...YOUR ETERNAL LIFE. TILL WE MEET AT JESUS FEET.............SOON!